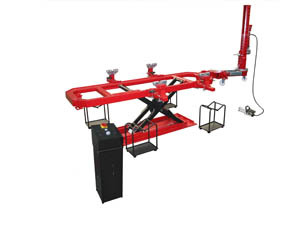 DL 2000 W is the perfect bench when you also need a rapid lift for changing bodypanels in your bodyshop. The lift takes 3.0 Tons and the pulling power of the tower is 10-tons. Priced to make everybody happy!